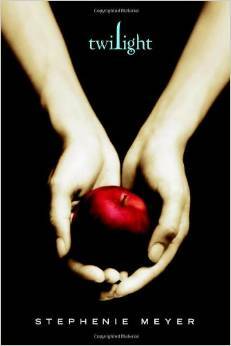 There’s plenty written about Twilight and its sequels, and many strong opinions about their worth. Many people have legitimate and well supported issues with the books, and I have no intention of getting into any of those arguments here. Personally, I enjoyed them. If you want to know why I liked them, I’ve discussed it here. However, I won’t let my daughter read them or see the movies regardless of the fact that they are considered young adult novels, even though many of her peers have read the books or seen the movies, and despite the fact that the early books at least aren’t terribly graphic. Here’s my reasoning: the obsessive relationship between Bella and Edward is something best appreciated by someone who has already experienced, survived, and moved beyond the consuming and often self-destructive throes of first love. In fact, I’d argue that despite the age of the heroine, these books shouldn’t be considered YA—instead of teenage girls, the more appropriate target audience is women who remember the pain of being a teenage girl. These books are especially inappropriate for tween girls who are likely to confuse a huge crush with love because they just don’t have the experience to understand otherwise. I do remember my first real crushes and how intense they felt at the time, but I also know now that they didn’t hold a candle to the feelings I would experience later. My daughter doesn’t need this kind of destructive and obsessive example when she has yet to experience real love. I like this sight you created, and your insight about the Twilight books. I agree with you and feel they are more for adults. I was curious if you support indie authors like myself. I consider LIGHTMASTERS a clean, tween read. If interested, first chapter is on the website. So far, I’m getting good reviews on Amazon and GoodReads. Best wishes to you.